Locally the name is understood as Sliabh Fathaigh, 'mountain of the giant', and this ties in with local lore about a giant being discernible among the summit rocks [KM, personal comment]. Also called Carlingford Mountain. Slieve Foye is the highest mountain in the Cooley/Gullion area and the 317th highest in Ireland. 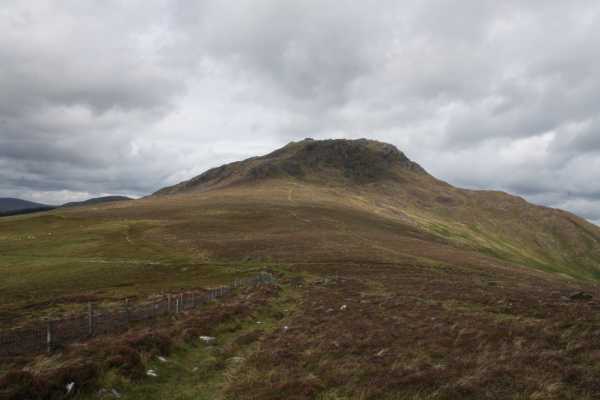 Slieve Foye is the second most easterly summit in the Cooley/Gullion area. Slieve Foye is the highest point in county Louth. Picture from pogorman : Slieve Foye and Goylin Pass from Barnavave. Picture: Slieve Foye and Goylin Pass from Barnavave.